Can Head Lice Transmit Disease? It’s common for parents to become concerned when they learn that their child has head lice. But beyond being a huge nuisance, can head lice transmit disease or pose a health risk? Rest assured, the CDC says there are no reliable data to suggest that head lice carry or transmit disease organisms. However, DNA technology has shown that head lice are the same species as the body louse which has long been associated with diseases such as typhus and relapsing fever. While this may suggest that it is possible for head lice to carry diseases, no cases have been reported. Here are some other important myth-busting facts to know about head lice treatment. Myth: Swimming in the Pool Will Kill Head Lice. Fact: Swimming in a chlorinated pool or hot tub will not kill head lice, unfortunately. Lice are very hearty pests that can survive in water and resist most chemicals, including chlorine. Since they are firmly attached to the hair, it will also have no impact on killing the nits or eggs. Myth: Home Remedies are Effective in Treating Head Lice. Fact: This myth is untrue and potentially unsafe. Home remedies that involve wrapping the head with substances like olive oil, butter or coconut oil in attempt to “smother” lice are not effective. They may even lead to injury and suffocation in small children. More alarming is the myth that hazardous substances such as gasoline or kerosene can kill lice. These substances are highly toxic and flammable and should never be used on a person. Myth: Over-the-Counter Products are the Best Solution. Fact: Not true. Research has clearly shown that pesticide-based head lice treatments are hazardous to your health and ineffective. Most contain dangerous synthetic chemicals called pyrethroids. The two most commonly found in OTC lice treatment products are permethrin and lindane. These chemicals have been proven to be toxic and have alarming side effects such as allergic reactions, wheezing, skin burning and behavioral problems. Treating head lice safely, quickly and effectively is what every parent wants. With Fresh Heads’ signature AirAllé treatment, it’s possible. AirAllé is FDA-cleared and proven to be safe and effective at killing and removing lice and their eggs. Our rate of efficacy is 99.2%— far higher than that of over-the-counter head lice treatments. We can treat your child’s head lice in as little as one hour and back it with a 45-day retreatment policy. Call one of our locations today to learn more. https://freshheadsliceremoval.com/wp-content/uploads/2019/02/dreamstime_xxl_91439885-min.jpg 3840 5264 FreshHeads https://freshheadsliceremoval.com/wp-content/uploads/2018/04/FH_LCA_Logo-1.png FreshHeads2019-01-25 15:28:022019-02-25 15:43:59Can Head Lice Transmit Disease? Finding out that your child has head lice can cause a great deal of stress and uncertainty. Parents frequently ask, “What is the fastest way to get rid of head lice?” Fortunately, we have the answer! At Fresh Heads, our professional lice treatment with AirAllé is one of the fastest, safest and most effective solutions available today. AirAllé is a totally effective, nontoxic head lice removal treatment that has been FDA-cleared. This science-based procedure kills lice through dehydration without the use of harsh chemicals. Its unique, single-use applicator tip was specifically designed to penetrate beyond the insulating layer of the hair. Through this process, the hair is lifted slightly while airflow aims directly onto lice and eggs—which tend to be located near the scalp and hair roots. Through AirAllé’s patented combination of heat, airflow, time and technique, both head lice and its eggs are safely and successfully killed. The AirAllé professional lice treatment is extremely safe and gentle for the entire family. It’s also the most efficient way to safely treat head lice today. 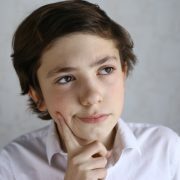 In fact, it is more than twice as effective at killing head lice than hazardous over-the-counter lice shampoo products. Check out our comparison chart and see how it stacks up against other treatments on the market. Our signature AirAllé treatment can be completed in as little as one hour. It begins with a 30-minute warm air session. One of our trained technicians will go over the entire head gently using the hand-held device as it blows dry, heated air. This process is what kills the head lice and their eggs. The technician will then perform a thorough comb-out to ensure that any dehydrated eggs that are left behind are removed. The final step is a special conditioning rinse that helps ensure you leave our clinic with fresh, lice-free hair. The discovery of head lice shouldn’t send your family into chaos. At Fresh Heads, we want to empower parents with the safest and most effective method to treat your family’s head lice. With over 450,000 treatments performed and less than 1% of our clients needing to be re-treated, we stand behind our Signature AirAllé Treatment for 45 days. Call us today to learn more about our treatments or to schedule an appointment. Can You Treat Head Lice with Hair Straighteners? There is no secret that heat is a big enemy of head lice. Many people wonder if hair straighteners are a good solution for eliminating lice infestations. Let’s look at why thoroughly straightening hair is not the best way to get rid of lice. Heat absolutely does kill lice. The FDA-cleared AirAllé® machine uses heated-air to immediately dehydrate and kill lice and their eggs (nits). Straightening your hair can result in eliminating some head lice. However, this method will not completely get rid of all the lice and their nits. 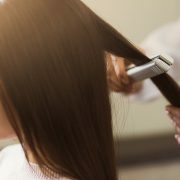 Thoroughly straightening your hair cannot cover the areas frequented by lice because they dwell very close to the scalp. There will always be surviving lice and nits continuing their life cycle and preventing you from completely clearing the head lice infestation. Using a hot, in-home device for killing lice is dangerous for children with infestations. A child’s sensitive skin burns far more easily than an adult’s, making the risk for an accidental burn very high. Burns can result in permanent scarring, depending on the severity. When it comes to children, it’s best to take safety precautions into consideration when searching for the best way to get rid of lice. If you or your child have an infestation, don’t settle for half-measures when treating head lice. Consult a lice removal professional with the FDA-cleared AirAllé® machine. Fresh Heads Lice Removal only uses certified methods that are free of toxic chemicals and won’t risk burning anyone’s scalp. Fresh Heads Lice Removal stands behinds every AirAllé service with a 45-day re-treatment guarantee and even offers a unique lifetime protection plan. Call to schedule head lice screening and removal treatment today! https://freshheadsliceremoval.com/wp-content/uploads/2018/11/sized-dreamstime_xxl_119944812-min.jpg 600 900 FreshHeads https://freshheadsliceremoval.com/wp-content/uploads/2018/04/FH_LCA_Logo-1.png FreshHeads2018-11-19 11:51:342018-11-19 11:51:34Can You Treat Head Lice with Hair Straighteners? Everyone wants to get rid of head lice as quick as possible, but they can be persistent little buggers! Many people turn to shampoos and other chemical methods that can not only be harsh, but are becoming less effective. So with these chemical-based treatments becoming less effective, what is the best way to get rid of head lice safely and quickly? Fresh Heads’ AirAllé® machine is an FDA-cleared medical machine that is highly effective at killing head lice and their eggs in one treatment. It has proven to be 99.2% in a single treatment, and it does it without any chemicals or pesticides! The AirAllé® machine blasts lice and their eggs with carefully controlled warm air. This dehydrates and ultimately kills the lice and their eggs. This simple method is not only safer than chemical treatments ands shampoos, it is much more effective. Head lice are no laughing matter. The longer they’re there on the scalp, the more uncomfortable it gets. Worse yet, more people will be at risk if the lice and their eggs aren’t removed as soon as possible. The AirAllé® treatment is equally effective against regular head lice and these pesticide-resistant Super Lice. Are you wary of chemical treatments or have you tried them already? Chemical treatments, hair dyes, home remedies, and other untested techniques can range from simply ineffective to downright dangerous. Fresh Heads Lice Treatment Centers are here for you with a safe, effective alternative that is 100% chemical-free. Our AirAllé® treatment is 99.2% effective at killing head lice and their eggs in one treatment. Call us today to schedule your appointment! Every day we have frantic parents asking us how to get rid of head lice in Orlando. They’ve been bombarded with misinformation and ineffective lice treatment tips. So, what’s a parent to do? There’s one clear answer for treating head lice in Orlando— Fresh Heads. What is Super Lice and Why Won’t Chemicals Kill It? Certain strains of head lice have become drug-resistant. These have become known as “super lice” and they are seriously stubborn. These super lice that were once treatable by OTC remedies can now survive most chemical products on the market. That’s why getting rid of head lice in Orlando is best left to the experts at Fresh Heads. AirAllé— The Best Way to Get Rid of Head Lice in Orlando. AirAllé is the most effective, non-toxic answer to head lice removal. This FDA-cleared, science-based treatment kills lice and eggs in their tracks. It combines a precisely formulated combination of heat, air flow, time and technique to kill head lice and its eggs through dehydration. The Signature AirAllé treatment at Fresh Heads begins with a 30-minute warm air session. One of our expert technicians goes gently over the entire head using the hand-held device as it blows dry, heated air. This process kills the head lice and its eggs. The technician then performs a thorough comb-out to ensure that the dehydrated eggs that are left behind are removed. A special conditioning rinse is the final step of this pleasant and effective lice treatment. AirAllé is gentle on your family and it’s the most powerful tool against head lice. Check out this comparison chart and see for yourself. Fresh Heads’ signature AirAllé treatment is more than twice as effective at killing head lice than traditional OTC products! 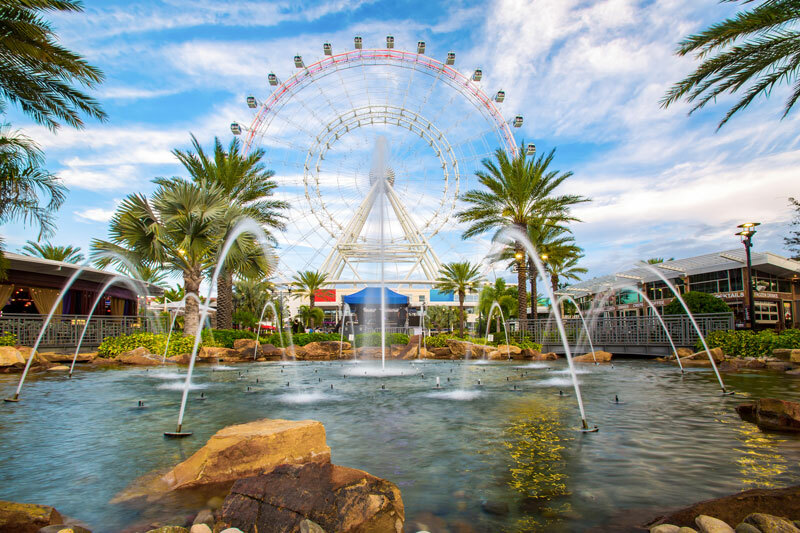 Figuring out how to get rid of head lice in Orlando isn’t as stressful as it once was. 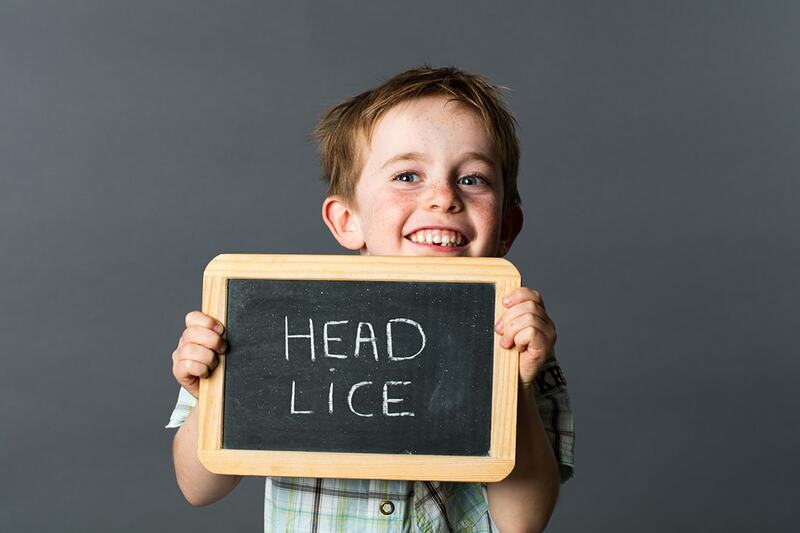 Leave it to the experts at Fresh Heads Lice Treatment Center! We provide seriously effective head lice treatment without all the hassle. You can sleep at night knowing that your child wasn’t exposed to hazardous chemicals. Call today to learn more about our treatments or to schedule an appointment! When you’re in the throes of treating head lice, it might seem like the stubborn pests are immortal. But the life span of head lice is actually not long at all, especially once removed from a human host. So how long do head lice actually live? Head lice are a common problem, especially in school aged children. Understanding their life cycle can help when it comes to treating head lice. The head lice life cycle has three stages: nit (egg), nymph and louse (adult). Nits are head lice eggs that resemble tiny whitish or yellowish specks. They can be difficult to find and are sometimes mistaken for dandruff or dry scalp. The female louse lays these eggs closest to the scalp at the base of the hair shaft. Nits can take about a week to hatch. Nymphs hatch from the nits and are usually a dull yellow in color. A nymph resembles an adult louse but is much smaller in size. A nymph is considered an adult about seven days after hatching from its egg. Louses, or adult head lice, are about the size of a sesame seed and are tan to grayish in color. The females are usually larger than the males and can lay up to eight nits a day. A louse can live for up to 30 days. Head lice are parasitic insects that require a human host to live off of. Lice can live for up to 30 days on the human scalp with blood as their nourishment. Once adult head lice are removed from the human host, they won’t survive for more than 24-48 hours. The nits can’t survive off of the human host either, as they require the warmth from the scalp during incubation. They also need blood as soon as they hatch for nourishment. This means that after treating head lice in your family, lice can’t survive on items in your home for more than a day or two. You’ll only need to treat items that have come in contact with the person treated for head lice in the last 48 hours. And since head lice can only live off of human blood, there’s no need to worry about your beloved pets. What Is the Best Method for Treating Head Lice? Treating head lice as soon as possible will stop the vicious cycle and make your life easier. Unfortunately, there are plenty of treatments on the market that are simply not effective. You also face the risk of exposing your family to harsh, toxic chemicals with typical over-the-counter remedies. Fresh Heads Lice Treatment Centers are proud to treat head lice with non-toxic, safe and effective methods. Our FDA-cleared AirAllé treatment happens to be one of the most effective treatments available today. The treatment system utilizes heated air to essentially kill lice and nits through dehydration, and it’s revolutionized the way lice is treated. Schedule an appointment with one of our trained technicians today. https://freshheadsliceremoval.com/wp-content/uploads/2018/05/A-smiling-child-holding-a-head-lice-sign.jpg 733 1100 FreshHeads https://freshheadsliceremoval.com/wp-content/uploads/2018/04/FH_LCA_Logo-1.png FreshHeads2018-05-10 09:55:302018-10-02 12:00:39How Long Do Head Lice Live? Why Do Kids Get Lice More than Adults? It’s probably safe to say that most of us sailed through our early adult years never giving head lice much thought. It wasn’t until children entered the picture that we were abruptly reminded of these persistent parasites. It seems like head lice and school children go hand-in-hand. But do kids really get head lice more than adults? Savannah head lice treatment center Fresh Heads has the answer! Head lice are human parasites that live on the scalp and feed off human blood. They don’t pose any major health threat, though they can cause extreme itching and irritation. They can cause redness, bumps and sores from scratching. Head lice do not jump or fly. They move by crawling from one host to another. They also can be spread by sharing personal items that they’ve crawled onto, such as hair brushes and hats. However, since lice can only live 1 to 2 days without human blood, they can’t survive on these items for long. Why Do Kids Get Head Lice More than Adults? The answer is pretty straightforward. It’s not that the pesky critters prefer children’s blood to adult’s. It’s the simple fact that kids are in closer contact with one another on a daily basis. Young kids don’t have much regard for personal space. Because of this they frequently commit the number one lice spreading no-no: head to head contact. They could be cozying up during story time, hugging their best pal or huddling together at a sleepover. There’s a lot of that head to head contact going on regularly, which head lice thrive on. It’s also worth noting that girls are more likely to get head lice because the pests can more easily climb onto their long hair. Another fact is that children share and swap personal items without giving it without a second thought. They may try on each other’s hats, borrow hair accessories, exchange ear buds or share a pillow at a slumber party. Girls adore brushing, styling and braiding each other’s hair—all while using the same brush. Sharing these items could potentially spread lice if they’ve been exposed in the past 24 to 48 hours. If your child comes home with lice, the sooner you treat it, the easier your life will be. Just steer clear of harsh OTC chemical treatments that you might find at your local drug store. Their ingredients are toxic and have been shown to cause health issues such as behavioral problems in kids. Plus, they don’t work. For safe lice treatment you can trust, visit our Savannah lice treatment center. Our signature AirAllé treatment is chemical-free and FDA-cleared, using hot air to stop lice in their tracks. We also carry an extensive line of all-natural, great-smelling hair care products, including preventative products. With 4 convenient locations located in Jacksonville, Jacksonville Beach, Orlando, and Savannah, there is a Fresh Heads near you! Call us today at (912) 988-4099.
https://freshheadsliceremoval.com/wp-content/uploads/2018/02/Savannah-head-lice-treatment-center.jpeg 4000 6000 FreshHeads https://freshheadsliceremoval.com/wp-content/uploads/2018/04/FH_LCA_Logo-1.png FreshHeads2018-01-31 20:39:322018-11-07 15:17:26Why Do Kids Get Lice More than Adults? 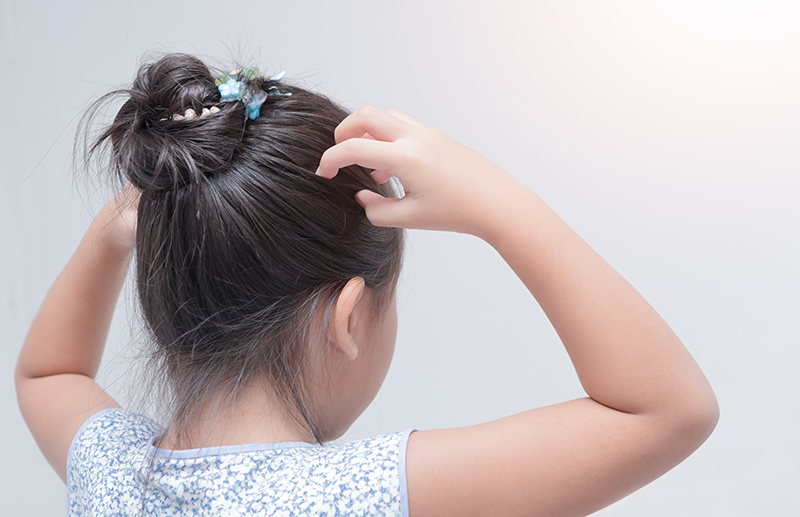 Will Head Lice Go Away on Its Own? According to the Centers for Disease Control and Prevention, a staggering 6-10 million people each year contract head lice. It’s an all too common problem that can take weeks or months to get rid of. Some people hope against the odds that it will eventually go away on its own. Unfortunately, that’s not the case. The good news is, it doesn’t take toxic chemical treatments to do the trick. A highly effective pesticide-free head lice treatment is the most sought-after lice treatment on the market right now. Head lice will not go away on its own when they have what they need to survive. Head lice, scientifically known as Pediculus humanus capitis, are parasites. They completely depend on human blood and the shelter provided by human hair to survive. As long as they have that food and shelter, they are able to stay alive. Head lice won’t eventually die off on their own. And, in fact, they multiply very rapidly when left alone. This means that the longer you avoid treatment, the bigger the problem will be. A female louse can live for up to 30 days on the human scalp, laying about 50 eggs per week. Those eggs take about a week to hatch, continuing the vicious cycle. A child left untreated for 5 weeks can have up to 4,000 live lice and 100,000 nits. The most critical step in eliminating a head lice infestation is using an effective lice treatment. Over-the-counter lice shampoos dominated the market for decades, but are finally losing popularity. Lice have become resistant to these toxic chemicals, and the products are no longer very effective. Many of these OTC products contain ingredients called pyrethroids. These are the same synthetic chemicals found in many pesticides. The most common ingredient, permethrin, has been shown to be carcinogenic. It has other health hazards, including allergic reactions, headaches, dizziness, hyperactivity and seizures. Fortunately, the most effective way to kill head lice is with a pesticide-free head lice treatment called AirAllé. Instead of chemicals, this FDA-cleared device uses heated air to dehydrate and destroy lice and their eggs. This treatment has been clinically shown to be 99.2% effective, while OTC products containing permethrin are only 45% effective at best. So while head lice won’t go away on its own, there’s no need to despair. In a painless one-hour session, Fresh Heads can solve your lice problem. One of our technicians will treat the entire scalp with warm air from the device. That is followed by a traditional comb-out to remove the dehydrated eggs and a pleasant post-rinse application. Visit our Facts & FAQs page to learn more about head lice and the most effective ways to treat it. https://freshheadsliceremoval.com/wp-content/uploads/2018/01/Pesticide-Free-Head-Lice-Treatment.jpg 517 800 FreshHeads https://freshheadsliceremoval.com/wp-content/uploads/2018/04/FH_LCA_Logo-1.png FreshHeads2017-12-27 21:42:152018-10-02 11:30:23Will Head Lice Go Away on Its Own? If you needed yet another reason to opt for natural head lice treatment, here’s a powerful one. Research has now linked the chemicals found in the most common over-the-counter lice shampoos to abnormal behavior in children. There has been mounting evidence of the dangers of chemical lice treatments. Recently, an alarming study in the Journal of Occupational and Environmental Medicine has shown a link between these chemicals and behavioral issues. 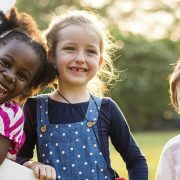 This research found that children with higher levels of chemicals called pyrethroids were more likely to demonstrate abnormal behavior at age 6 than those who did not. Pyrethroids are the synthetic chemicals found in insecticides, including many OTC head lice treatments. Unlike natural head lice treatments, these products contain a common pyrethroid called permethrin. They function by damaging the nerves of insects, eventually killing them in the process. Scientists set out to see if these potent chemicals had any such negative impact on the nervous systems of children. They researched the connection between prenatal and childhood exposure to pyrethroids and behavior in six-year-old children. What they found was disturbing. Pregnant women with higher levels of certain pyrethroids in their urine had a higher risk of their children having behavior issues. This included internalized behavior issues such as anxiety and being withdrawn. They also found high levels of another pyrethroid was linked to a higher risk of externalized behavior issues. These problems included demonstrating defiance and aggression. If you’ve treated your child with these chemicals in the past, try not to panic. The research showed a correlation and not causation. But it does provide a very compelling reason to seek out natural head lice treatment when your child has lice. In addition to all the other hazards of insecticide-type lice treatments, the potential neurological damage is simply not worth it. Plus, these outdated chemicals have very unimpressive efficacy ratings. 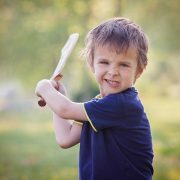 Fresh Heads Lice Treatment Centers are proud to provide chemical-free lice removal you can trust. Our safe, FDA-cleared AirAllé treatment is one of the most effective lice treatments available. Instead of using synthetic chemicals, our device uses heated air to dehydrate and kill lice and nits on the spot. We follow it with a traditional comb out and a special rinse. This helps to ensure that all traces of the dead lice and eggs are removed before you leave. We even back our treatment with a 45-day retreatment policy. 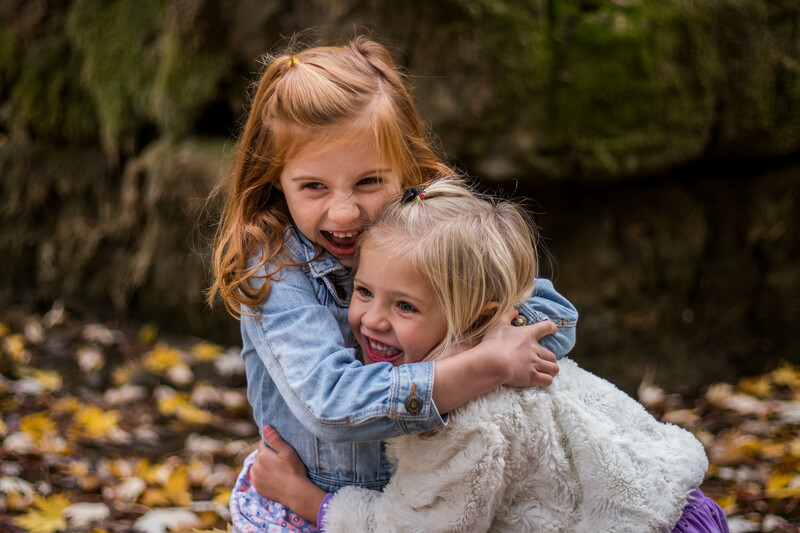 For more information on our natural head lice treatments, chemical-free preventative products or to schedule an appointment, contact the Fresh Heads Lice Treatment Center nearest you today. Will a Buzz Cut Get Rid of Head Lice? It’s not uncommon for parents to reach for the clippers when their child comes home with head lice. But is a buzz cut truly an effective way to get rid of lice? The answer might surprise you! A buzz cut may help with prevention and it might even make the treatment process easier, but it is not an effective treatment for head lice. While the dreaded buzz cut can’t get the job done, using a natural head lice treatment like the FDA-cleared AirAllé machine, however, is clinically proven to be effective. 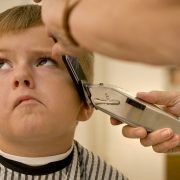 Getting a buzz cut will not eliminate lice, but having very short hair is a good preventative measure. Head lice move easier from person to person when there’s something to grab onto, such as long hair. So, having shorter hair or a buzz cut does make the transfer of lice more difficult. When an active case of head lice is found on a child, natural head lice treatment is the best option. A buzz cut is not going to solve the problem. Head lice can live and lay nits in even ¼” of hair, so a buzz cut isn’t an effective lice treatment. In fact, a buzz cut can actually make the head lice removal process more difficult. That’s because with a buzz cut, the short hairs stand straight up. This makes it difficult to separate the hair when searching for lice and nits. It also makes it harder to comb for nits, as the comb has little traction with buzzed hair. Unless the hair is completely shaved off, head lice can still survive. The 3-step AirAllé treatment offered at Fresh Heads can be done in about an hour. Our treatment is so effective, we stand behind it with a 45-day re-treatment policy. Here’s what to expect. STEP 1: Working in sections, one of our trained technicians will begin by gently positioning the AirAllé applicator tip against the client’s scalp. It will be placed underneath the hair, blowing heated air along the scalp and hair shaft. The air flow is a bit higher than that of a hairdryer but at a cooler temperature. The device will be repositioned every 30 seconds until the entire head has been treated. STEP 2: Once the AirAllé device has effectively killed the lice and eggs through dehydration, our technician will do a post-treatment comb-out. This is necessary to remove the dead lice and eggs that remain on the hair after treatment. STEP 3: The final step of our signature AirAllé treatment is a post-treatment rinse with dimethicone oil. This step ensures that every last louse and nit has been effectively killed and removed. To learn more about the treatments offered at Fresh Heads Lice Treatment Centers and to find the nearest location, click here. https://freshheadsliceremoval.com/wp-content/uploads/2017/11/dreamstime_xxl_6097697-800px-wide.jpg 533 800 FreshHeads https://freshheadsliceremoval.com/wp-content/uploads/2018/04/FH_LCA_Logo-1.png FreshHeads2017-11-21 19:44:502018-11-07 15:16:05Will a Buzz Cut Get Rid of Head Lice?